So in this posting I’m just sharing the progress that was made while making the Mascot for Lemron The Con. He is very tricky and it was hard to make this mascot head because he kept playing games. Lemron The Con Comic Strip was created by Jamaal R. James for James Creative Arts And Entertainment Company. 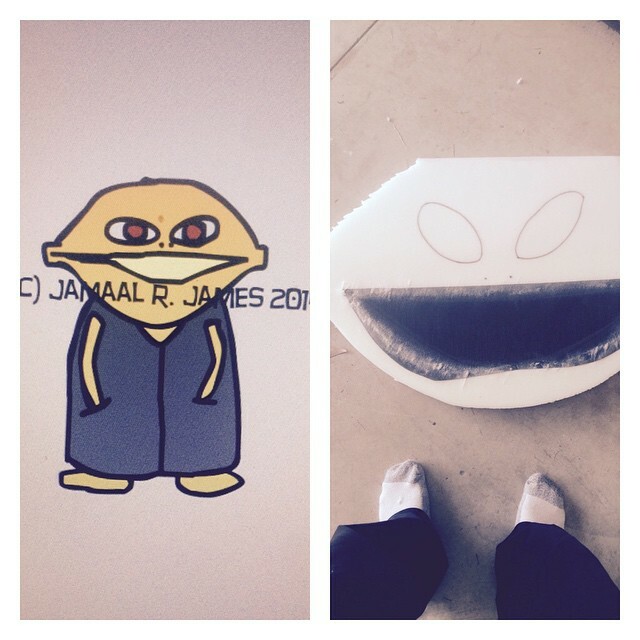 Lemron The Con Mascot Costume created by Jamaal R. James for James Creative Arts And Entertainment Company.